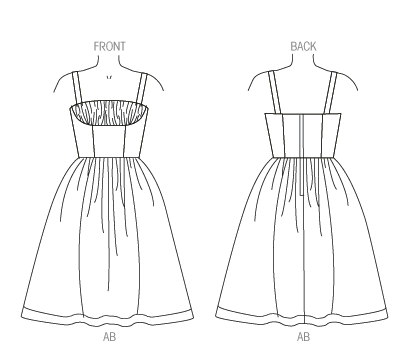 B6168 – A Lisette pattern. I think this dress is pretty cute! B6169 – Lisette. The jacket looks pretty cool. Actually, is anyone else getting a modernized Downton Abbey vibe here? The dress… kind of meh. B6182 – Lisette. Sort of meh on the boxy shirt. 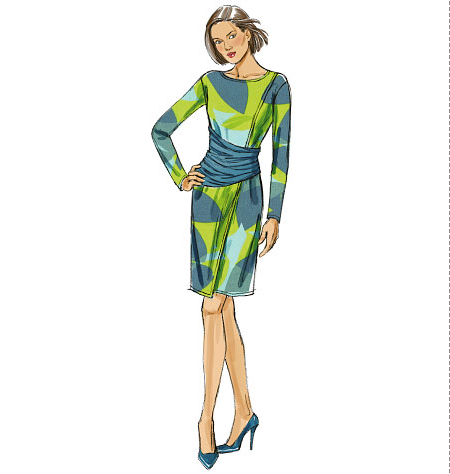 The skirt looks a lot like a recent Burda offering. but not so much this time. Imagining that top on my bust… yeesh. I think this dress could be rather cute on a younger girl though. B6186 – Connie Crawford. Basic color blocked dress. Comes in Plus sizing. B6187 – Connie Crawford. Color blocked tunic. Comes in Plus sizing. B6177 – Katherine Tilton. I feel like we’ve seen similar in this pattern line already? B6180 – Katherine Tilton. 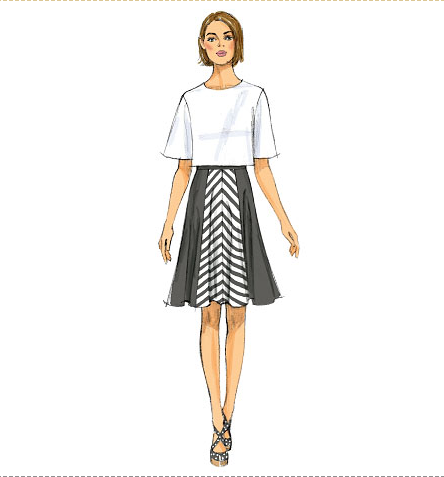 I like the use of stripes in this skirt pattern. in a parking lot recently, and it looked pretty cool. 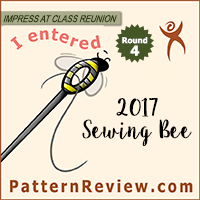 B6172 – This top looks like it should be a designer pattern, but it isn’t. I feel like it looks cool in the photo, but seems a bit impractical to wear in reality. B6166 – Love this dress! This one is going on the list. B6163 – My initial reaction was “pretty!” but I think I was responding to the color. I’m not overly fond of the dress in and of itself, but the blue/black lace combo is inspiring. 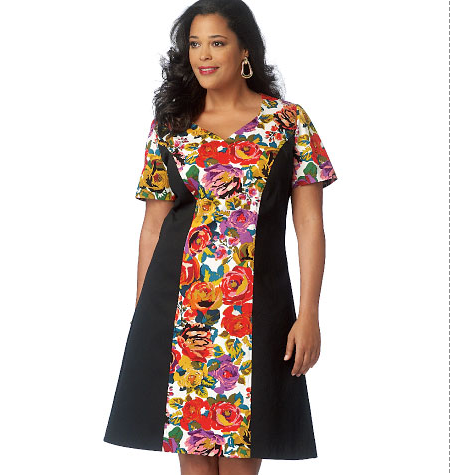 B6164 – Another dress pattern I don’t need, but one I sort of want. 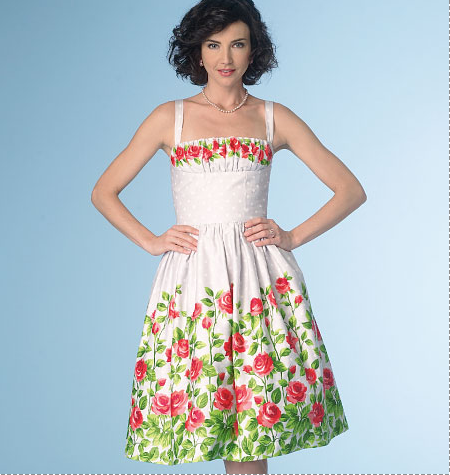 It is a simple sort of dress, but would be great for spring. 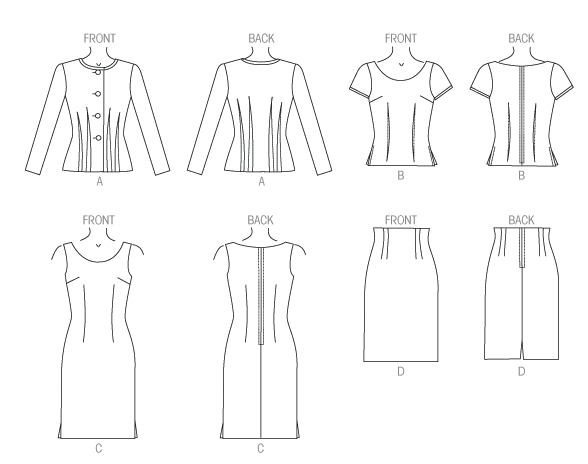 B6185 – Wardrobe pattern. Sort of meh on this one. The collars on the tops and not on the jacker is sort of interesting though. 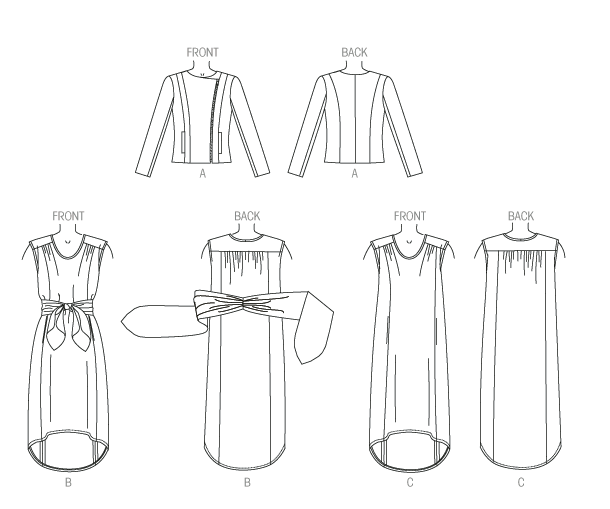 B6184 – Another wardrobe pattern. Not loving the outie seams. B6181 – Bomber jacket. 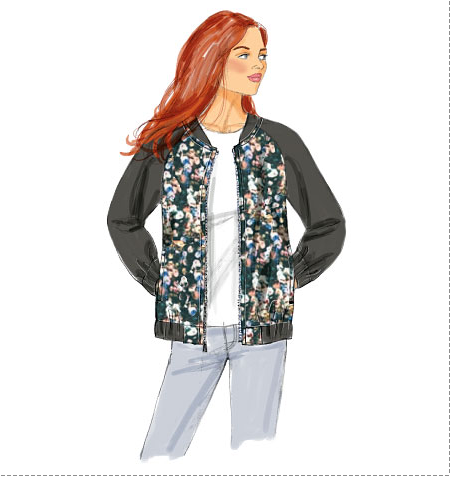 Butterick is a bit late to the party. 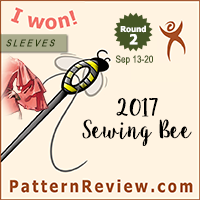 B6173 – I’m oddly drawn to this tunic. I can definitely see my sister wearing it. B6179 – Fast & Easy skirt. Nice, simple, basic. B6176 – Fast & Easy. Another pattern where we’ve seen a lot of similar styles in the past. B6175 – Boxy top. Meh. B6178 – Fast & Easy culottes. 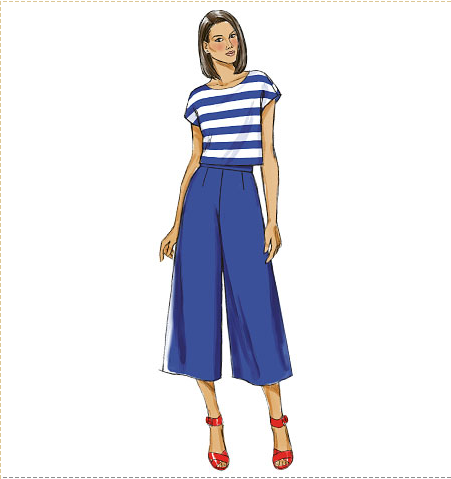 Apparently culottes are going to be a thing this year. Not loving this super voluminous variation though. The streamlined version is a bit better. 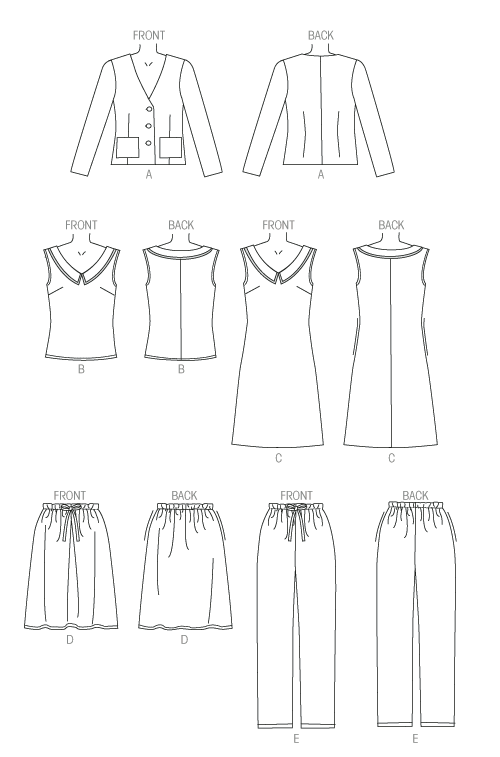 The following are the See & Sew patterns, which are essentially pattern re-releases with new numbers. They are all pretty decent, but for most of them the original patterns were fairly recent releases, so I don’t have much to say about the re-releases. B6190 – Pretty! Love the draping on the bodice. This version is pretty too! And that’s it! On the whole, this collection is kind of a snooze. 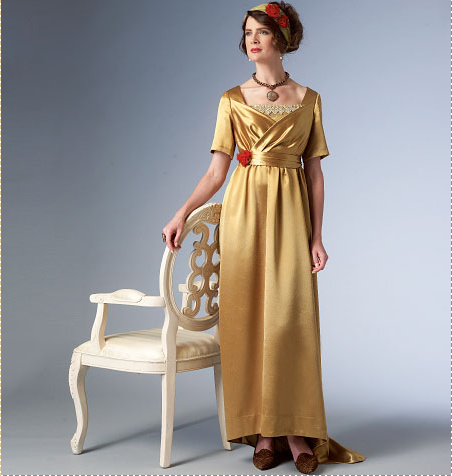 Possibly the most interesting thing is that Lisette has changed from Simplicity to Butterick as a distribution brand. 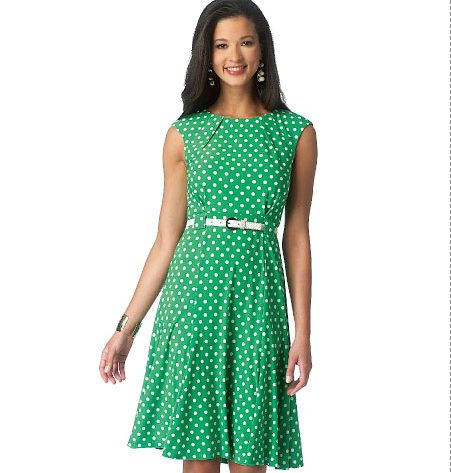 There are a few decently cute spring dresses, but there wasn’t really a stand out in this collection for me. I will be getting the costume pattern for sure, and 6166. A few of the other dresses are maybes for me. Otherwise, it is mostly a pass. What do you think? See anything I’m missing? Or is this a fairly dull collection for you all as well? Feel free to discuss in the comments! there are some dress patterns that I like but other than that meh. I am over seeing so much boxy patterns. Can't they at least try to make some fitted clothing? I loved so many of them! 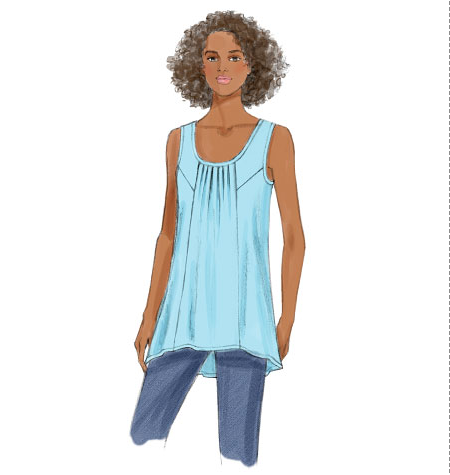 I already picked up about 5 for the stash and have already sewn the Lisette top in 6183! LOL! I really like the moto jacket too and a couple of dresses. The Gertie dress is a disaster. 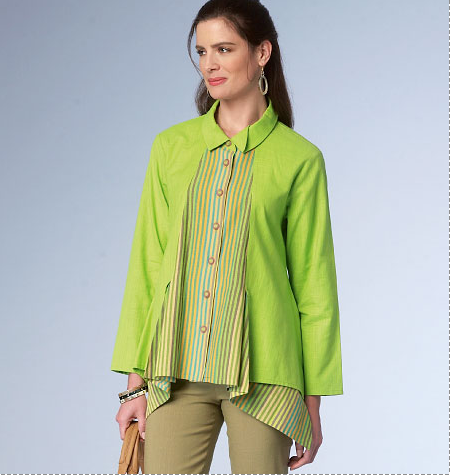 I just recently made Butterick 6185, the little double collared blouse. I really love it! 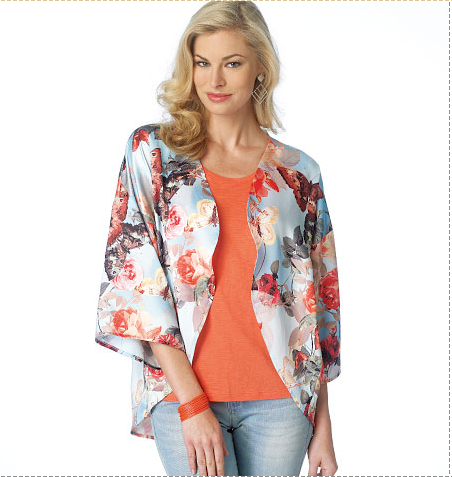 I'm not usually a fan of Butterick as I think some of their patterns are really old fashioned looking, but the blouse is actually really nice! It definitely does scream “church lady” at first, but I wore it with skinny jeans and wedges and I think it actually looks a lot better than how they modelled it. Not sure I'd make any of the trousers though.